Here are some links to other websites that I have designed, maintained or am in some way affiliated with. 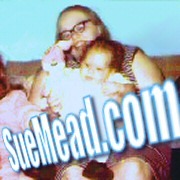 A memorial website for my mom, Sue Mead. Awesome website that I designed for the most funnest band in the universe (and I'm not just saying that because I'm in it). Come join the conversation and join in on the fun that is BloodThirsty Vegans! Personal and business website for my good friend and fellow world changer Laura Jean Castelluzzo, Licensed Massage Therapist. World on your Plate is an annual event with a goal of presenting various approaches to the numerous, shifting issues revolving around food. The WOYP coalition's mission is to promote sustainable lifestyles for farmers, farm workers, and consumers and to advance education on issues of food safety, security, and sovereignty and restoring the earth. 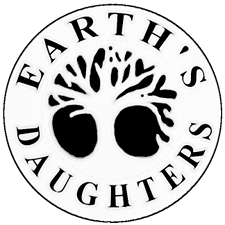 Earth's Daughters is a feminist literary and arts periodical published in Buffalo, N.Y. E.D. has been published continuously since 1971 and may be the oldest extant feminist arts periodical.